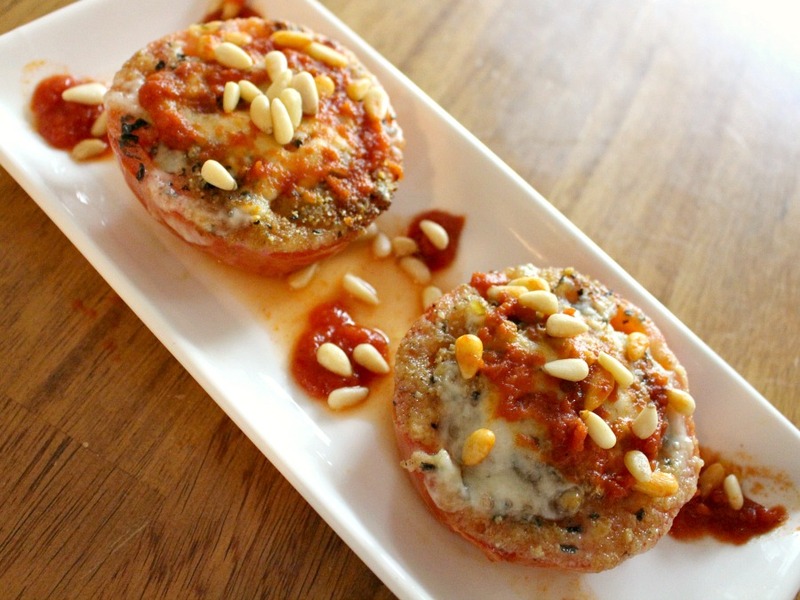 Baked Tomato Parmesan – This simple recipe is so delicious. The perfect healthy side dish. Looks beautiful too. Bake some tomatoes up this way and taste the deliciousness! I remember a similar recipe my mom used to make years ago. This was a recipe she got from one of her friends that was on Weight Watchers. She loved it so much, she shared it with my mom. That recipe did not have cheese on the tomatoes. Just lots of spices. The addition of the parmesan makes all the difference without adding a lot of calories and fat. 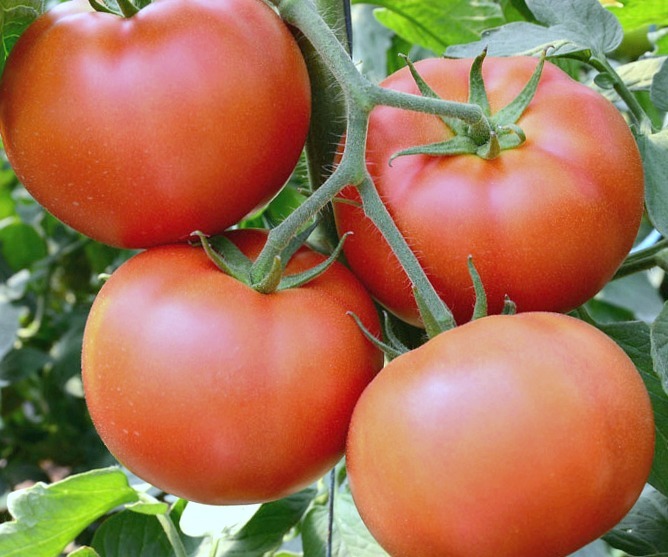 Check out the nutritional content to see how low in calories and fat these tasty tomatoes are. I always thought it looked so fancy and tasted so good and that was when I was a child. Here is my version of my mom Ruthie’s recipe. It was great then and still is. Enjoy! Sprinkle on salt, pepper and spices. Spoon on the tomato sauce then top with both cheeses. Place on a cookie sheet that is lined with foil and sprayed with cooking spray. Bake for about 15- 20 minutes until the cheeses are melted but not burnt and the tomato has softened. Add pine nuts on top of tomato the last 5 minutes of baking. Enjoy! 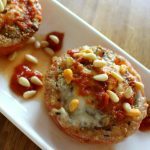 Baked Tomato Parmesan - This simple recipe is so delicious. The perfect healthy side dish. Looks beautiful too. Bake some tomatoes up this way and taste the deliciousness! 3.Sprinkle on salt, pepper and spices. Spoon on the tomato sauce then top with both cheeses. 4.Place on a cookie sheet that is lined with foil and sprayed with cooking spray. 5.Bake for about 15- 20 minutes until the cheeses are melted but not burnt and the tomato has softened. 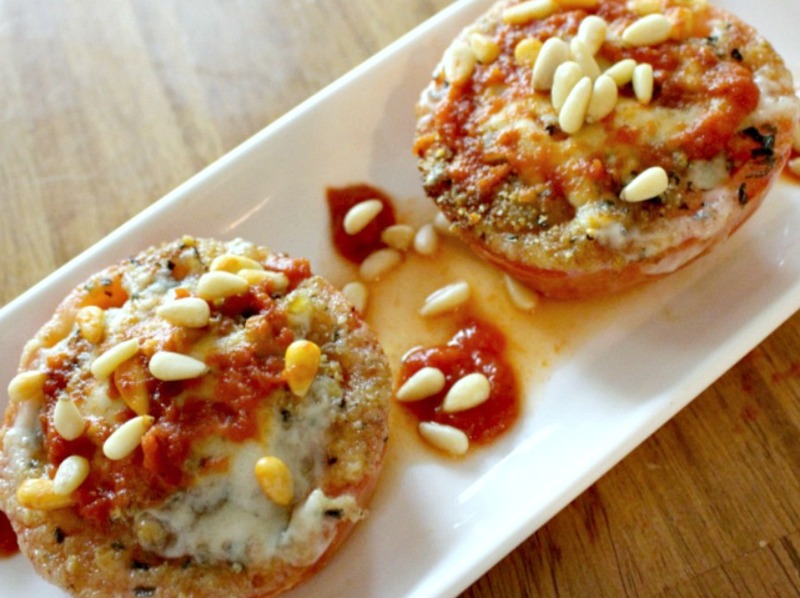 6.Add pine nuts on top of tomato the last 5 minutes of baking. Enjoy!